Happy Thursday my friends. Here's a bright and happy very quick Christmas card to get you through the day. I seem to be going through a large Pomegranate phase don't I! 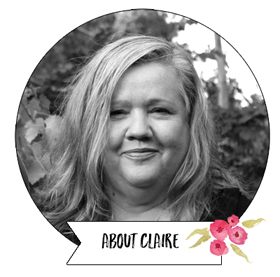 This card uses the lovely Stampin' Up! funky Christmas sets Merry Merry and Season of Joy. I think the Pomegranate and Soft Sky look great together with a bit of white. Very crisp and clean. I love the new Pomegranate satin ribbon from the Spring Mini Catalogue as well. There's some Dazzling Diamonds glitter on there too (coloured pink by stamping into Versamark, then Purely Pomegranate then adding the Heat and Stick powder, heating and adding glitter with a quick blast of the heat gun to set. For the semi circle effect I have used the 1 3/8 punch to cut the Soft Sky and the 1 1/4 for the white circle with the greeting. Enjoy! I had the pleasure (NOT!) of having my wisdom tooth removed in the chair today. All went well at the surgery and until about 2 hours later when the local anaesthetic wore off. OMG it was agonising. Much worse than both the specialist and I anticipated, but the tooth turned out to be very stubborn, and the bone dense and it was all downhill from there. BUT the good news is I think I have the pain under control now and am still going ahead with a stamping night tonight. Nothing like a bit of stamping to dull the pain. Then on Friday night, we had 11 people making their very own stamping technique book. They got to try lots of different techniques and make samples stuck into their little technique book next to instructions I provided. There were lots of WOW's with the different techniques and everyone was planning on all the new things they would be able to do with their supplies as a result of the class. I'll be doing a monthly 'add on' class for the techniques book too so that they can keep adding to them. I have already had more requests to run this class, so have scheduled it into my August Classes on a Sunday afternoon. My classes are all offered on a first in first served basis so I would recommend booking now if you are interested. I also managed to do a little bit of creating for myself, but there will be lots more this week as I gear up for my Spring Mini shows next week. This one was a quick and easy one (10 minutes!) using the gorgeous bird from the new Stampin' Up! Always set. It also uses the lovely Purely Pomegranate wide satin ribbon. Don't you just love how the colours match the ink and cardstock so well! 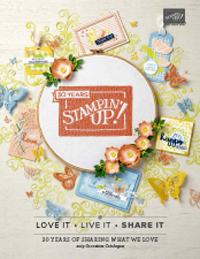 Here's another take on the Stampin' Up! Always set. This time I have used the heart and embossed it with silver embossing powder. The colours on this one are Purely Pomegranate, Pretty in Pink, Basic Grey (textured). 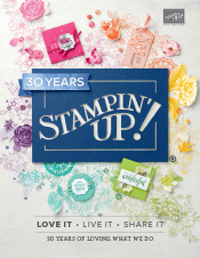 I have also used the Stampin' Up! Priceless set (grey swirl) and the Stampin' Up! So Swirly jumbo wheel. Thanks so much for all the lovely welcome back emails and comments, I really appreciate your nice words. It's lovely to come on here and share my love of creating with you. So how about a card using some new products from the new Stampin' Up! Spring Mini catalogue? Thes products go on sale August 1st (email me and I can post it out without charge to you tomorrow if you don't have one). As a demonstrator, we get to preorder the new products and have a play a little earlier. I know I had to have this set as soon as I opened the catalogue. It's called Bloomin' with Beauty. This set could be used to make all sorts of styles of cards, but I chose to put a vintage spin on mine, using the beautiful new Stampin' Up! papers Holiday Harmony (12 double sided sheets for just $11.95 and oh so yummy in Purely Pomegranate, River Rock and Always Artichoke). Accessories: Purely Pomegranate satin ribbon (New! ), Hodgepodge Hardware in Antique Copper. Techniques: I curled the edges of the paper using my fingernails (very technical tool those!) and some random tearing here and there. I watercoloured the image using Basic Gray as the outline ink, Purely Pomegranate ink for the flower and Always Artichoke watercolour crayon for the stem and leaves. I faux stitched around the edge which is just lots of holes made with a paper piercer and then the holes are joined up with a Stampin' Write marker (in this case Chocolate Chip). You might be wondering about the little statue in the picture. It was near the cloth I grabbed to use in this photo. My Mum gave it to me several years ago and I love it. It also reminded me of the quote 'Bloom where you are planted' and also of the importance of just being in there in the moment with your children, hugging them, reading to them, really getting down on the floor and playing with them. I am so grateful to have a job that allows me to work from home and be flexible so I can be there for my children and pick them up from school and just cuddle them when they aren't well. It's precious time and I want it everyday. I'm leaving this statue on my desk now to remind me to do that. Have a great Wednesday. I'll be back tonight to show you the yummy things we made in my class. Yes I'm back. Thanks for hanging in there with me while I had some family time and a little blog break. I feel refreshed for having spent some time with my family and spent some time on some things which needed my attention! I'll be doing some scrapbooking of our Perth break over the coming weeks, so you will get to see and hear about it them. The big news is the Spring Mini catalogue which starts sales on August 1st. 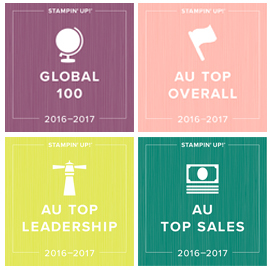 I think this is Stampin' Up! 's best ever mini catalogue so if you would like your very own copy including my exclusive offers, email me at cdaly@bigpond.net.au and ask me to send you a copy straight away! I've started back creating, so here's a couple of things to share with you. I'm really pleased how this turned out. I have wanted to adapt the chocolate holder for a DVD for ages, so I have done a western style one for Fathers Day. If you would like to have a go at making one of these yourself I have just uploaded the tutorial into my free tutorial downloads (see the link under 'Read More About' on the left hand column here). I was going to send it as a tutorial for customers and sunscribers, but had many requests for it, so will be coming up with something else great for those tutorials still! Don't forget that I have started Christmas Stamp a Stacks as well. If you are interested in making 6-8 christmas cards in a class, just email me at cdaly@bigpond.net.au. I have day and evening classes available. Here's a Christmas card I made for a demonstrator swap I was recently involved in (no not the Perth girls one if you are reading Keesh).